Freshman tennis player Michael Kroon has been named Athlete of the Week by the Courier News! Kroon garnered 89.45% of the votes! 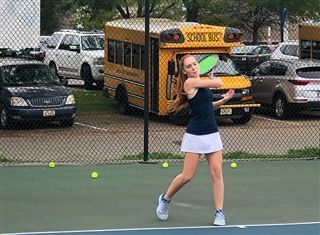 At third singles, Kroon has had an impressive start to the tennis season, winning all three of her matches so far this year, including a pivotal win against a tough Pingry lineup. Thanks to everyone who voted! Go Knights!